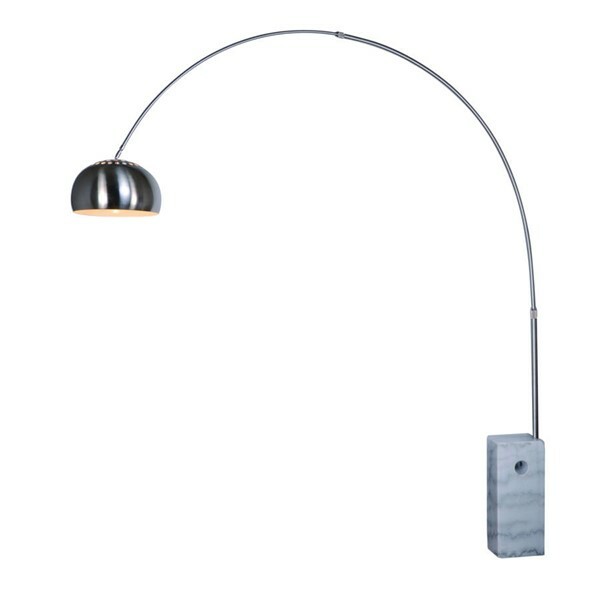 We love the iconic block base featured on the SoHo Modern Arc Floor Lamp. Crafted from always luxurious marble, this box stands upright, adding to the modern allure of the arc silhouette. Shaded with a globe in lovely satin nickel, this lamp makes a beautiful addition to any room, from your home office to your living area. The ability to place lighting exactly where you need it, while maintaining the contemporary look you love, is a true boon to designers amateur and professional.